Chris Brown has been allowed to leave the Philippines after a three-day delay in the capital Manila. The 26-year-old had pleaded with authorities to allow him to leave the Philippines in a video he posted on Instagram, in which he got down on his knees and begged. 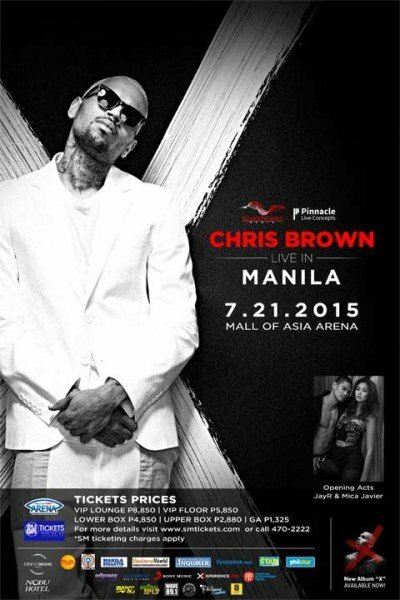 Chris Brown had been barred from flying out of the Philippines after missing a New Year’s Eve concert in 2014. “Please, please, let us leave, please,” said Chris Brown in the video, which was later taken down. Chris Brown went down on his knees in what appeared to be his hotel room and ended the clip with a signature back flip. The singer has now posted a new video on Twitter in which it appears he is preparing to fly out of the Philippines on a private jet. Elaine Tan, spokeswoman of the Immigration Bureau, told the AP news agency that Chris Brown has been able to obtain a certificate that allows him to leave the Philippines. In two Twitter posts Chris Brown said: “This is a very serious situation and someone needs to be held accountable for mixing my name up in all this. I’ve done nothing wrong!!! Chris Brown performed at an arena in Manila on July 21 and posted an Instagram video of that show. Chris Brown is due to play in Macau, China, on July 24 followed by a concert in Ayia Napa on July 28.